The Lenovo Yoga Tab 3 Plus WiFi has a new touch to it. Its cylindrical base gives it a stylish look with an amazing slim body and is a great performer. The device comes with a 10.1-inch IPS LCD display and is available in two colours - Puma black finish and Gunmetal grey. The Yoga Tab 3 weighs a minimal 637 grams and measures 247 x 179 x 4.6mm. It has features like splash proof protection and an enormous battery. One can play games and do multitasking for long hours, plus, the tab supports quick charging feature too. The device is a good deal to invest in but has a few drawbacks such as the lack of 3G connectivity let alone 4G, which is a major necessity these days. 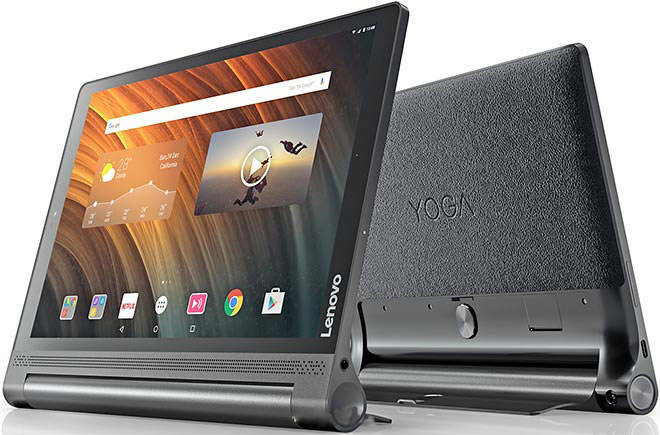 Lenovo Yoga Tab 3 Plus Wifi full specs and reviews as of Apr 2019. Buy it here!